Not valid for promotional set lunch. 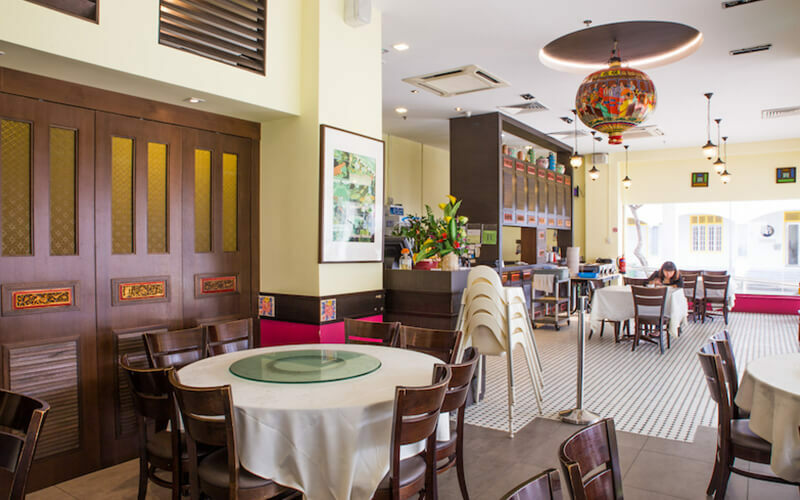 Listed in the 2017 Michelin Guide, Straits Chinese Nonya Restaurant is one of the oldest Nonya Restaurant in Singapore. Using secret recipes handed down through many generations, the original taste of an Authentic Peranakan cuisine has been preserved closely, using only the freshest ingredients and select choice of spices. Some of the specialties in their menu include otak-otak, roast chicken, sweet and sour pork, ikan bawal asam nanas, udang asam goreng, and many more. The restaurant are also open to providing catering for special occasions at offices and homes.